From the streets to the catwalk…really? 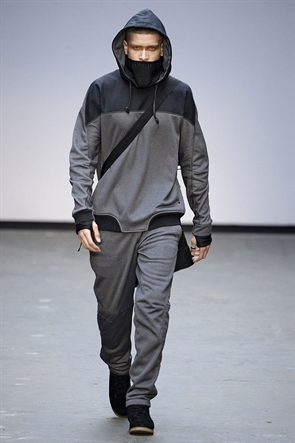 Last week’s LCM shows saw a mixture of designs go down the catwalk. Some interesting, unique and different; some smart, stylish and dapper and others somewhere in between. This Maharishi ensemble from day 2 stood out for me. Not because it was great but because its quite worrying and had my eye brows raised. I know that a lot of inspiration for designers comes from the street but where is the line drawn? Yes, Street fashion, alternative dressers and street art are known for sparking inspiration in the fashion industry, but since when did the hoodlum look become so fashionable that it made it to the runway?